Download card included with vinyl. The third installment of the One-derful! 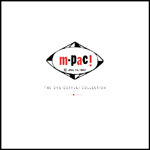 Collection focuses M-Pac!, the blues and hard soul imprint of this legendary R&B label group. Within the grooves of these 24 tracks lie superb group harmonies from The Ringleaders and The Accents, gritty hard soul leads from Willie Parker and Stacy Johnson, and songs from one of Chicago's most under-appreciated soul shouters in Harold Burrage, plus 10 tracks that were never issued! Central to M-Pac! is the Leaner family. By 1962 when brothers George and Ernie Leaner added M-Pac! as a sub-label to their One-derful! label, they were revered figures on Chicago's Record Row and beyond. They distributed material from labels like Motown and Stax and they attracted top talent. It wasn't uncommon for a WVON DJ to help the Leaners sign their newest discovery, or for their singers, musicians, songwriters, or producers to have Chess or Motown on their resumes. The Leaner family were among the most important black businessmen of music's golden era, yet much of their history has only been superficially documented until now. Between 1962 and 1971, the One-derful! family of labels released 180+ 45s of stunning soul, funk, and gospel. Over two years of painstaking research and work, including countless hours spent cataloging, transferring, and mastering 250 of the label's tapes, has contributed to an amazingly extensive reissue collection. The LP ships in a beautiful 2xLP package with 24 page booklet including liner notes stuffed full of rare and never before seen photos and memorabilia.